I realize that the title of this article might offend and provoke many people, especially those adhering to the Judaic faith. I do know that Jews, like everyone else, are not carbon copies of each other. There are many conscientious Jews who believe in fairness and basic human equality regardless of color, race and faith, and strongly reject racism and chauvinism in any form. These people I salute for their rectitude, humanity and morality. They are our natural partners for peace and a better tomorrow for our children and their children. 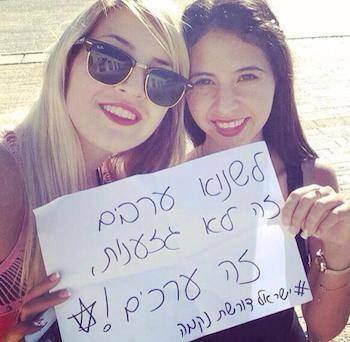 Israeli girls write that "To hate #Arabs is not racism"! But there are numerous other Jews who don't believe in human equality and justice for all. Indeed, there are many Jews, e.g. followers of the hateful Chabad sect, who don't even ascribe full humanity to people who are not members of the Jewish faith. Needless to say, the venomous ideology adopted by these racist fanatics has much in common with Aryan Nazism. What else can be said to describe an ideology that teaches adherents that the life of a non-Jew has no sanctity and that goyem can be murdered without the slightest compunction or feeling of guilt? The shocking reactions by the Israeli government, rabbis, and community leaders to the latest abduction, murder and subsequent burning of a Palestinian child near Jerusalem are very telling. In a certain sense, these reactions and attitudes can be compared to the reactions and attitudes of many Germans to the pogroms carried out against Jews by the Nazis prior to and during the Second World War. “Death penalty to terrorists! and to the haters of Israel! The gleefully despicable embrace of the brashly hideous crime by the bulk of the Israeli Jewish society underscores the fact that millions of Jews in Israel and abroad do harbor certain Nazi tendencies, especially against the Palestinian people. These tendencies are too real and too tangible to be overstated. Indeed, the conspicuous reluctance of the Israeli government to condemn the murder of Muhammad Khdier is more than ominous. I am not eager to demonize Jews or hurl on them the Nazi epithet. However, we must call the spade a spade, even at the expense of upsetting the huge Zionist propaganda machine which habitually alters the black into white and the blatant big lie into a "truth" glorified by sheepish westerners who have long been brainwashed into believing that Israel is a modern, civilized and democratic state. In the final analysis, when Jews (or anyone else) think, behave and act like the Nazis thought, behaved and acted, they simply become Nazis. Pure and simple. Today, there are numerous Jews who openly call for the physical annihilation of Palestinians as retaliation for the abduction and killing of three Jewish settlers in the West Bank. Saber-rattling rabbis speak menacingly of the need to adopt "the Biblical way" to combat the Palestinians. For those not versed in Jewish phraseology, "Biblical way" is euphemism for genocide. Today, the Israeli media reported that some army personnel openly appealed to the government to "give us the green light to annihilate them."!!! 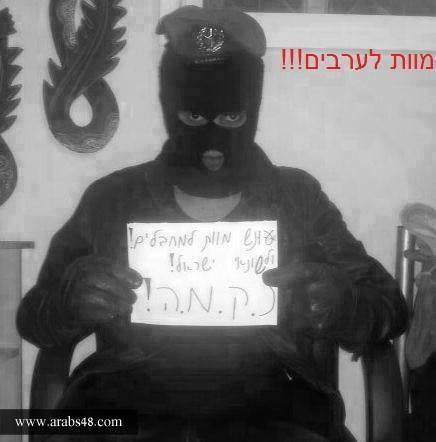 Just read what thousands of Jewish youths have been writing on their Facebook pages! It is outrageous, disgusting and sheer evil. To put it in a nutshell, Nazism is being regurgitated and exuded all over Israel. This is happening in broad daylight while professional liars like Binyamin Netanyahu are filling the ether with all sorts of shameless lies about Israel being victimized by the Palestinians. Seventy-six years have passed since Kristalnacht. Today Jewish settlers in the west Bank, in close cooperation and coordination, with the Israeli army could very well carry out a huge pogrom against an innocent and helpless community which really finds itself very much in the same precarious and vulnerable position that European Jewry experienced prior to WWII. I am not a prophet of doom and gloom, but the signs are unmistakably bleak. A final point, the Palestinian people in the West Bank and the Gaza Strip are surviving thanks to the good-will of the international public opinion. Should the international community go into a brief slumber, God forbid, Israel and its own Wehrmacht, SS, Gestapo and Hitler Youth might embark on the unthinkable. Don't you ever say Jews can't carry out a holocaust against their victims, the Palestinians? Words can kill; words do kill. At least 20 Palestinians were reported injured on Friday in clashes following the funeral of Palestinian teenager Muhammad Abu Khdeir, medics said. Thousands of Palestinians gathered early Friday to receive the body of the 16-year-old boy after a Red Crescent ambulance collected the body from Hadassah hospital. Grieving Palestinian youths carried the teenager on their shoulders chanting "We have had enough!" as crowds waved Palestinian flags and shouted slogans demanding freedom. Crowds chanted "Allah Akbar!" and "We sacrifice our blood for you!" as Muhammad's body was taken for burial. Clashes broke out following the funeral procession, with Palestinian youths throwing rocks at Israeli forces, who responded with riot dispersal means. 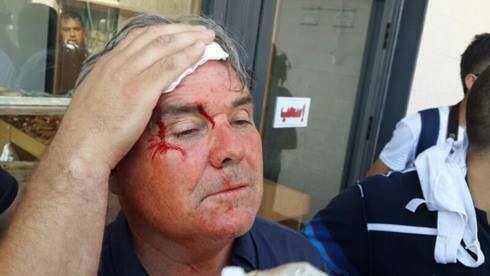 At least 20 Palestinians have been shot and injured with rubber-coated steel bullets in the ongoing clashes. Earlier, clashes were reported in the Old City of Jerusalem and Ras al-Amud, as young Palestinians clashed with Israeli forces. Israeli police said "thousands" of officers were on the streets across East Jerusalem ahead of the teenager's funeral in the Shufat neighborhood, which coincided with the first Friday prayers of the Muslim holy month of Ramadan. Just 8,000 Palestinian worshipers joined the prayers at Jerusalem's Al-Aqsa mosque compound, police said, with many staying away for fear of clashes with Israeli forces. Mohamed Abu Khudair, who was murdered and burned by Jewish assailants a few days ago in Shuafat neighborhood in east Jerusalem. Scores of citizens rallied outside the house of Abu Khudair family in Shuafat area before marching in the funeral. 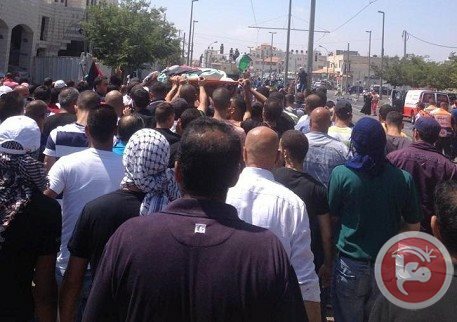 The Israeli occupation authority had detained the body of the slain boy for a couple of days before handing it over to his family on Friday afternoon. Meanwhile, violent clashes broke out between participants in the funeral of Abu Khudair and Israeli policemen. The Israeli occupation forces also subdued marches held following the Friday prayers in different West Bank areas in protest at the hideous murder of Abu Khudair. Palestinians from the coastal villages of Jisr az-Zarqa and Fureidis in the 1948 occupied lands also participated in a march on Friday protesting the killing of the boy and the daily attacks launched by Jewish settlers on Arab property. Clashes erupted between Palestinian youths and Israeli soldiers after Friday prayers in the Old City of Jerusalem as crowds gathered in Shufat for the funeral of Muhammad Abu Khdeir. 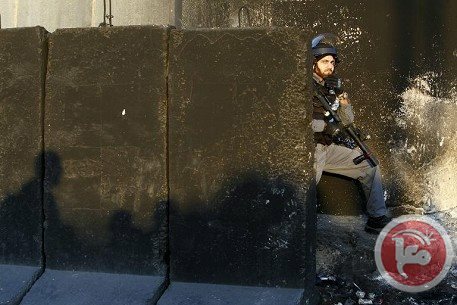 Israeli authorities set up barriers in the streets and alleyways of the Old City and closed down several roads, preventing worshipers from reaching the Al-Aqsa Mosque compound. "Dozens of Palestinian youngsters, some masked, threw stones at police in Ras al-Amud," Israeli police tweeted, referring to a neighborhood in occupied East Jerusalem. On the same day last year police reported a crowd of 80,000. 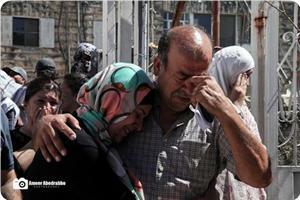 Residents of Shufat have been gathering since the early morning to receive the body of Muhammad Abu Khdeir for burial. 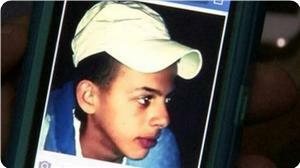 The Palestinian teenager was kidnapped and murdered overnight Tuesday in a suspected revenge attack by Israelis. Red Crescent ambulances left from outside of the Abu Khdeir family home on Friday afternoon to receive the boy's body from Hadassah hospital. Israeli police flooded East Jerusalem ahead of the funeral of a murdered Palestinian teenager and the first Friday prayers of the Muslim holy month of Ramadan. Mohammed Abu Khdeir, 16, who was kidnapped and found dead on Wednesday, was to be buried in East Jerusalem's Shufat neighborhood after the midday prayers, with tensions running high after two straight days of violence. Israeli commanders meanwhile waited to see if a series of statements by Israeli leaders promising to "meet quiet with quiet" would bring a halt to the latest flare-up of violence on the Gaza border. Media reports spoke of a possible truce in the making after a week of militant rocket fire into southern Israel and retaliatory air strikes against Gaza. There were no official statements from Israel or its Hamas foe in Gaza and the army reported that four rockets were fired at Israel on Friday morning, with one intercepted by the Iron Dome air defence system and at least two hitting open ground. An Israeli police statement said that "thousands of police were deployed this morning in East Jerusalem in order to maintain security." Tens of thousands of worshipers were expected to head for the Al-Aqsa mosque complex for the main weekly prayers on the first Friday of Ramadan. Israeli Police spokesman Micky Rosenfeld told AFP that following a late-night situation assessment, police commanders decided to limit access by men to the complex to those over 50 years of age. There were no restrictions on women, he said. After the prayers, Abu Khdeir's funeral was to be held in Shufat, a day later than originally planned after his body was held so that pathologists could complete a post-mortem. In Shufat and other parts of Israeli-annexed East Jerusalem, Palestinians clashed with police for a second straight day on Thursday, hurling rocks and fireworks at Israeli police and burning tires. Over 170 Palestinians were injured by Israeli forces during clashes in Shufat on Wednesday, medics said. 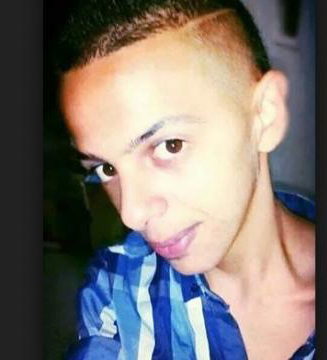 Claims that Mohamed Abu Khdeir was targeted by Israeli extremists in revenge attack appear to be bolstered by video. New video footage has emerged which the family of a Palestinian teenager abducted and murdered earlier this week says shows the moment of his kidnapping. Mohamed Abu Khdeir, 17, was snatched by three men in car while he was waiting to pray outside a mosque next to his home in east Jerusalem. His badly burned body was discovered in a forest on the western side of the city. Senior Palestinian figures, including President Mahmoud Abbas, have said they believe the teenager was targeted by Israeli extremists in a revenge attack for the kidnapping and killing of three Israeli teenagers three weeks ago. This claim appeared to be bolstered by the emergence of the footage which the boy's family says captures the abduction – and suggests that he was randomly targeted outside a mosque and did not know his kidnappers. The video, shown to the Guardian at the family home in Shuafat, was found on a CCTV camera a little way from the place where he went missing. Relatives insist that it shows Khdeir about a hundred yards away sitting on a wall, a slumped dark shadow who moves occasionally. Dated and timestamped, the footage appears consistent with the timings and account given by witnesses, although it is not possible to see any identifiable features or to verify the claims. Crucially the video appears to suggest that the abductors spotted the teenager sitting alone by chance, returned to watch him and let cars pass before approaching. The key footage begins at 3.45am. Several cars pass where the boys is sitting, heading through a junction with some lights. Then a car stops at the lights before reversing back down the road, past the boy, and out of frame. At 3.50am two figures in lighter clothing walk into the frame and towards Mohamed. They appear to engage him in conversation and then the car moves into shot again, drawing level. The car pulls forward again past the group and then reverses amid what appears to be a struggle. When the car drives away at 3.51am the figure who had been sitting on the wall is gone. The disclosure of the tape came as the Israeli military bolstered forces along the increasingly volatile border with the Gaza Strip in response to intensifying rocket fire, which has added to the mounting sense of crisis. In a sign of the seriousness of the situation, the Israeli prime minister, Binyamin Netanyahu, convened his security cabinet for a fourth time since Monday. Although military and political sources have made clear they would like to avoid a serious conflict in Gaza with the militant Islamist group Hamas, whom Netanyahu blames for the kidnap and murder of the three Israeli teenagers, sources made clear that the group had a deadline of 24 hours to halt rocket fire. Commenting on the new deployment of troops in Gaza, Lieutenant Colonel Peter Lerner, an Israeli military spokesman, said forces were taking up "defence positions" in Israeli communities that have been struck by the rockets from Gaza. He did not comment on the scale of the deployment. It follows air strikes against the territory early on Thursday. It is the first time since the border began to heat up in mid-June – in tandem with an Israeli military sweep and search for the three abducted Israeli youths in the West Bank - that Israel has announced troop movements near the Gaza Strip. "We are moving and we have moved forces," Lerner said in a conference call with foreign journalists. "Everything we are doing is to de-escalate the situation but on the other hand to be prepared if they don't de-escalate." Israel, he said, has "no interest in deepening the conflict with Gaza – the absolute opposite is true". Tensions in Jerusalem remained high in anticipation of Khdeir's funeral. No time has been set for the burial, an event that will stir strong emotions among Palestinians and could trigger further confrontation. The military said Palestinians in the Gaza Strip fired 14 projectiles into Israel on Thursday and that rockets struck two homes in the southern town of Sderot, causing no casualties. Hamas Movement has accused Israeli Prime Minister Benyamin Netanyahu of issuing orders to the settlers for the kidnapping and killing of the Jerusalemite child Mohamed Abu Khudeir. The Islamic movement strongly condemned the "heinous crime" carried out by Israeli settlers on Wednesday that “reflects Israel’s ugly and racist image and exposes its attempts of playing the victim’s role”. The movement called on the international community to bear its responsibility towards Palestinian people and children in particular, and not to turn a blind eye to the Israeli settlers’ crimes and attacks. The movement condemned Abbas’s weak reaction following Abu Khudier’s murder, calling on human rights institutions to work for exposing Israeli forces and settlers’ crimes. For his part, former Prime Minister and deputy head of Hamas’s political bureau Ismail Haniyyeh condemned the settlers’ crime in Shuafat town in occupied Jerusalem. “We stand united behind our people in the West Bank in face of the Israeli ceaseless aggressions”, he said in a brief statement on Wednesday, calling on the international community to immediately intervene and put an end to Israeli crimes. In his turn, senior leader in Hamas movement Dr. Salah Bardawil strongly condemned the kidnapping and killing of Abu Khudeir by Israeli settlers, warning of this serious escalation’s implication in the West Bank. He held the occupation authorities and Netanyahu fully responsible for the crime, criticizing the international community’s biased policy in dealing with events in occupied Palestine. He said only resistance could put an end to the Israeli hysterical escalation that came in an attempt to show its superiority and deterrent power against Palestinian people. He said that the U.S. administration and international community had given Israel a green light in advance to escalate aggressions and attacks against the Palestinian people. Along the same line, the political analyst Abdul Sattar Qassem warned of escalating Israeli settlers’ attacks against Palestinians in the West Bank. In an executive interview with the PIC, Qassem said that Israeli and Palestinian authorities in Ramallah provide protection for Israeli settlers, while Palestinian citizens’ freedom of movement is restricted. He pointed out that PA has liquidated armed resistance in the West Bank, the fact that gave settlers a green light to move freely in different parts of the West Bank in violation of international resolutions. Qassem ruled out the possibility of the outbreak of a third uprising after the liquidation of resistance culture among citizens, calling on resistance factions to deter Israeli attacks. 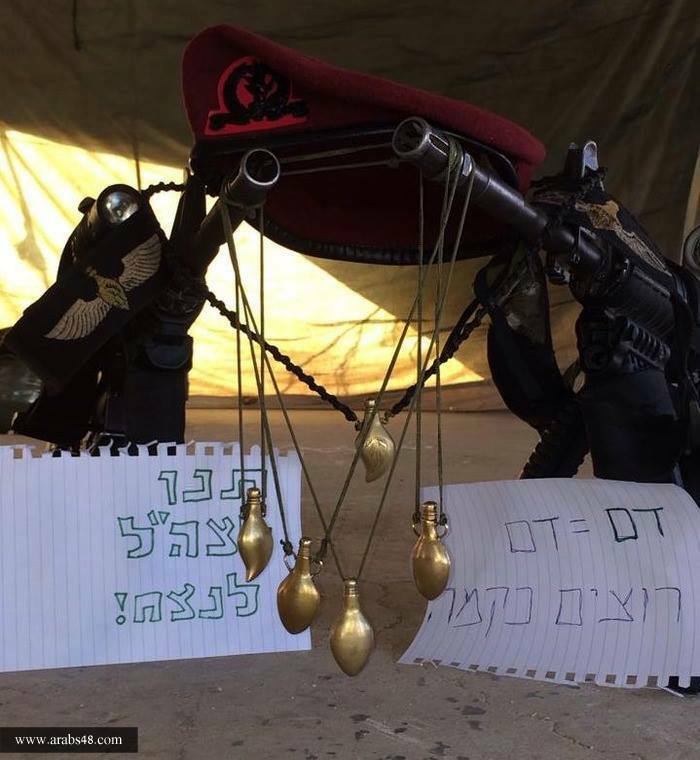 Meanwhile, Popular Resistance Committees and its armed wing Salah al-Din Brigades threatened that Israeli authorities and settlers will pay a heavy price for their crimes against the Palestinian people. Spokesman for the brigades Abu Mujahed said that Palestinian martyrs’ blood will not be in vain, but a curse that chases the occupation till its end. “Israeli continued crimes against our people in the West Bank and Gaza Strip expose Israeli bloody mentality,” he added. In Heinous Crime by Israeli Settlers, Palestinian Child Kidnapped, Tortured and Killed and His Body Mutilated in Occupied Jerusalem. 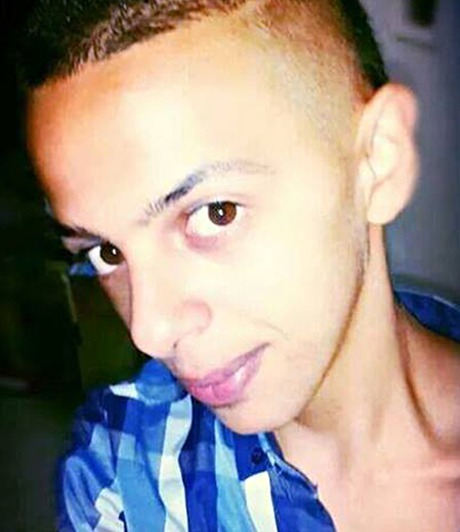 The Palestinian Center for Human Rights (PCHR) condemns in the strongest possible terms the crime of kidnapping, torturing, killing and burning a Palestinian child, Mohammed Abu Khudair, from Shu’fat neighborhood in occupied East Jerusalem, by Israeli settlers. PCHR believes that the Israeli authorities’ connivance with crimes committed by Israeli settlers, supporting and protecting them, and failing to enforce the law against them serve to encourage them to commit more systematic crimes against Palestinian civilians. While PCHR views positively the statement by Robert Serry, the Envoy of the UN Secretary General to the Quartet, strongly condemning the crime of killing the child, it calls upon the international community to immediately act to provide protection to Palestinian civilians in the occupied Palestinian territory (oPt). 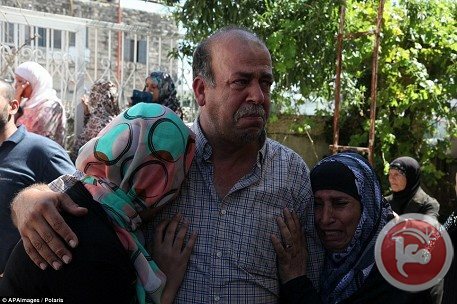 In one of the most heinous crimes committed by Israeli settlers against Palestinian civilians in the oPt, a group of Israeli settlers kidnapped Mohammed Hussein Abu Khudair, 16, from the vicinity of his family’s house in Shu’fat neighborhood in the north of occupied Jerusalem, subjected him to brutal torture, and then killed him. According to investigations conducted by PCHR, at approximately 05:00 on Wednesday, 02 July 2014, 5 Israeli settlers kidnapped the child from the vicinity of his family’s house in Shu’fat neighborhood in the north of occupied Jerusalem. A few hours later, the Israeli police declared that they found the child’s body in forest lands near “Givat Shaul” settlement, adjacent to Deir Yassin village, west of Jerusalem. The police confirmed that signs of torture and burns were seen on the child’s body. Eyewitnesses and residents of Shu’fat neighborhood stated to PCHR that according to recordings of surveillance cameras stabled on houses and shops in the area, 5 Israeli settlers traveling in a Hyundai car kidnapped Abu Khudair when he was in front of his house. Two of the settlers stepped out of the car and forced Abu Khudair into the car. A few hours later, the police received another notice about the child’s disappearance, and then another notice informing that a corpse was found in a forest area in Jerusalem. The police headed to the area and found the corpse of the child, on which signs of severe violence were seen. 3. Reminds the international community that settlement is a war crime according to the international law, so the High Contracting Parties to the Fourth Geneva Convention, individually or jointly, must comply with their legal and moral obligations, and ensure Israel’s respect for the Convention in the oPt, in accordance with Article 1 of the Convention. A Palestinian coroner from Al-Quds University will attend the autopsy for 16-year-old Muhammad Abu Khdeir on Thursday, relatives of the murdered teen told Ma'an. Abu Khdeir, 16, was kidnapped and killed early Wednesday in a suspected act of revenge for the killing of three Israeli youths. The family demanded that a Palestinian coroner be present during the autopsy, and Dr. Sabir al-Aloul, director of the Al-Quds University's Institute of Forensic Medicine, will represent the family. The autopsy will take place at Israel's Abu Kabir Forensic Institute. The family of the murdered teenager were not allowed to see the body before it was taken for autopsy and Muhammad's father, Hussein, was detained and questioned for several hours by Israeli forces.